I wrote last week about Portlight Strategies Inc., which is mobilizing aid to Haitians, especially those with disabilities, in the aftermath of the earthquake. Portlight is continuing to collect emergency supplies and equipment, for shipment from Atlanta to Port-au-Prince. The group still needs money and publicity to carry out its important work. If you want to help, click here or call 843-817-2651. The U.S. disability community has rallied to try to assist our Haitian counterparts. My friend T.K. Small, a Brooklyn attorney with a physical disability, has spent many hours during this last week making phone calls and writing e-mails, educating and urging people to support Portlight. Dozens have responded, and have spread the word even further. In addition, the Institute on Disabilities at Temple University has launched a Haiti Disability Response effort, in conjunction with Portlight, to obtain priority items such as crutches, walkers, canes, splints, ramps, and medical supplies. I never like to generalize about other cultures’ views about disability. Instead, I prefer to listen to the voices of disabled people who live within those cultures, and who have developed their own analyses of the issues and the context. However, it’s a fact that disability experiences are shaped by social conditions, and it’s hard to imagine conditions worse than what Haitians face now: crushing poverty, mass homelessness, food and water shortages, and devastated infrastructure. We still need to pay attention to, and support, the short-term needs of a people and crisis — but we must also think long-term about the rights and well-being of this new “generation of amputees,” as well as Haitians with other physical and mental disabilities. 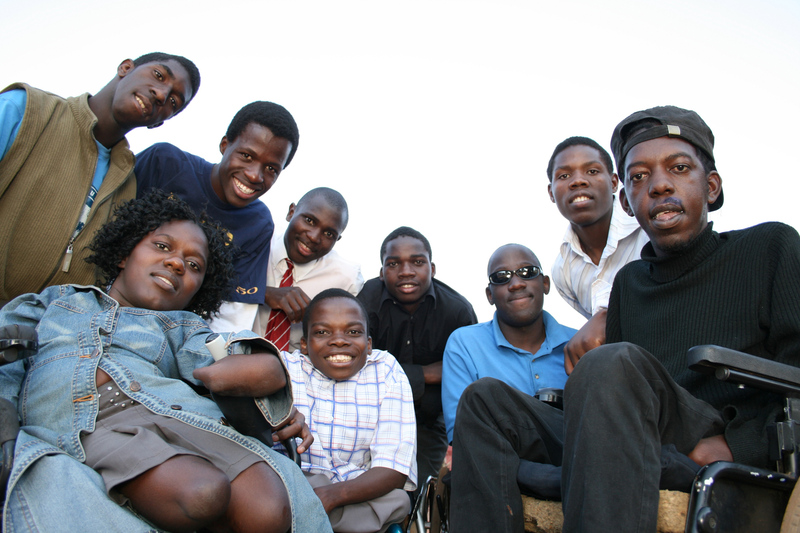 One group that will contribute significantly to disabled Haitians’ quality of life — as it has brought positive benefits to many other countries — is Whirlwind Wheelchairs International. Whirlwind has earned international recognition for designing wheelchairs that can move through difficult terrain, and can be repaired easily using readily available materials. In various parts of Africa, Asia, and Latin America, Whirlwind has helped establish workshops that train and employ disabled people to build the chairs for their communities. Whirlwind’s work is philosophically sound, person-centered, and pragmatic. Now, Whirlwind is raising money to ship wheelchairs from its Mexican factory to Haitians who will need them. Americans should continue giving generously, and always respectfully. Let’s not leverage our largess to lecture Haitians on the proper attitude toward disability. Let’s ensure that our aid programs don’t discriminate, or deny access, thus aggravating disabled people’s isolation. The growing number of Haitians, on one hand, may mean increased hardship and financial costs to individuals, families, and society as a whole. On the other hand, it may also lead to increased awareness, acceptance, and integration. Disabled people will never again be (if they ever were) a tiny, hidden minority. Every family, every neighborhood, will have members who are disabled. Out of this prevalence may grow solidarity. “Haiti Rocked by 7.0 Quake.” I read the news as I sat in the waiting room at Children’s Hospital, checking the New York Times website on my laptop computer. Of course I was worried about my daughter, going through a surgical procedure that was minor but nevertheless required general anesthesia. Now, less than 24 hours later, she’s fully recovered, while the reports from Port-au-Prince and surrounding areas get worse and worse. I look back to yesterday, and recognize the extraordinary privilege I was enjoying, even during that stressful afternoon. My child was getting excellent medical care, funded by the Children’s Medicaid program. I knew where my friends and loved ones were; some were with me, and some were sending me words of encouragement through the Internet. And I was in a building which (besides offering a wireless connection) stood on solid ground, with safety and stability engineered into its very structure. Like everyone, I want to do something, however small, to help support the survival and recovery of the Haitian people. All I have to offer is a little bit of money. So where should I send it? There are a number of fine organizations that are now, or will soon be, working on the ground to help heal and rebuild. There are other groups that might waste donations on excessive administrative costs or poor management. As a member of the global disability community, I am committed to ensuring that my donation will benefit disabled people, as well as others. I won’t let my uncertainty delay my contribution, which is tiny enough, so I did some quick research, both about Haiti itself, and about current relief efforts. In the context of such a desperately poor society, people with disabilities have few opportunities for health, integration, and safety. According to one source I found, this small country’s population includes around 800,000 disabled people. Disabled children, in particular, are often sacrificed for their families’ economic survival. According to the United Nations, as reported last year by the BBC, many of Haiti’s 200,000 children with mental or physical disabilities wind up living on the streets — or in orphanages, which is often worse. A UNICEF official is quoted as saying that only a quarter of Haiti’s 600 child care institutions are legal, and subject to any monitoring. In the others, children are often abused physically, sexually, and mentally. Natural disasters always exacerbate these kinds of pre-existing social atrocities. And unfortunately, relief efforts don’t always take into account the needs of people with disabilities. I was glad to hear that Habitat for Humanity is already planning to go in and help low-income Haitians rebuild homes. However, as I was reading through Habitat’s website, I was disappointed to discover that their commitment to building homes accessible to people with disabilities, adopted several years ago in response to accessible housing advocates, applies only to homes they build in the United States. No such policy extends to their international projects. I was looking for a more disability-specific group, with the necessary infrastructure and integrity to provide effective assistance. Then I got an e-mail from my fellow advocate, Paul Timmons, who announced that Portlight Strategies Inc., an organization he’s worked with for some time, is now mobilizing to provide medical equipment, shelter, and food for people with disabilities in Haiti. Portlight helped a lot of people during the Gulf Coast hurricanes over the last few years. They are preparing to send a container full of equipment and supplies to Haiti in the next few days. They are also working with a community of Catholic nuns in Port-au-Prince who will be opening shelters. Portlight needs money to help pay the costs of shipping the equipment, and to buy food and other shelter supplies. So that’s where I sent my measly fifty bucks. I would feel fine about supporting any of the other organizations listed above, and would be interested in knowing where readers of this blog are sending their support. Feel free to post comments, along with links to worthy organizations.